Atlanta-based special-needs school announces fundraiser to be held on Jan. 19, 2019. 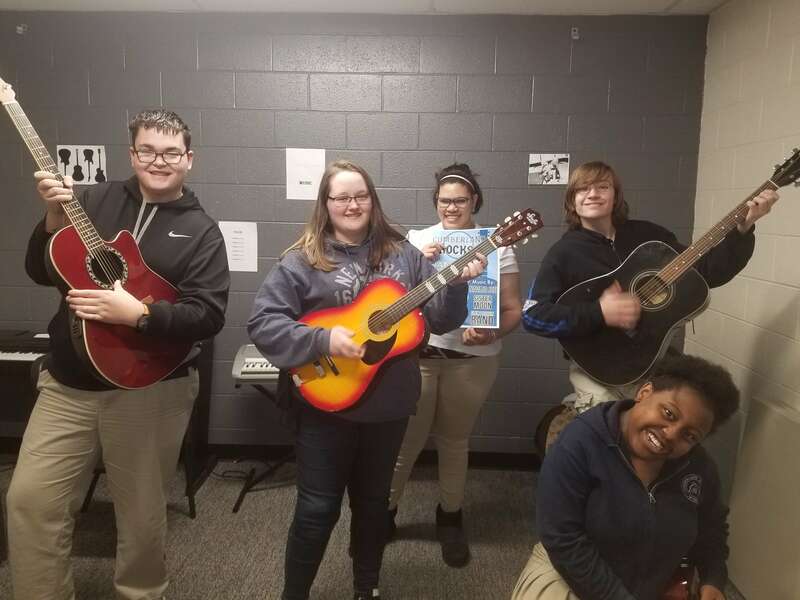 To begin the new year on a high note, Cumberland Academy of Georgia, a school for students with special needs located in Atlanta, Georgia announced today a three band benefit called “Cumberland Rocks!” that will be held on January 19, 2019. “Cumberland Rocks!” features live music from Navajo Joe, Sister Moon and the Glen Pridgen Band. All bands are supporting the special needs school by donating the funds from the tickets sales to the school. “Cumberland Rocks!” will be held at Hard Rock Cafe in downtown Atlanta. “What an incredible gift from a family at Cumberland. A three band benefit will be fun for students, parents and friends of the school,” said Debbi Scarborough, headmaster and founding director of the school. “’Cumberland Rocks!’ will also generate awareness for the special needs community of our school. The funding raised will be used to assist our school in providing an exceptional educational experience for our students. This fundraiser will be a fun way for the community to interact with Cumberland, and we are very grateful for the opportunity. Additionally, one of our Cumberland parents is an active band member and the creator of this event. His vision for the event includes a special appearance by one of our alumni currently attending Georgia State Perimeter College. Our alumnus will be able to rock out alongside the band.” The event begins at 6pm. To purchase a ticket for this fundraising event on Jan. 19, 2019, visit https://www.freshtix.com/events/cumberland-rocks. This event will be open to anyone who would like to participate. Cumberland Academy of Georgia is grateful to all donors and thanks the community in advance for donating to the school. Cumberland Academy of Georgia specializes in the needs of students in grades 4 through 12 who have high-functioning autism, Asperger’s syndrome, attention deficit disorder (ADD), attention deficit hyperactivity disorder (ADHD) and learning disabilities. Cumberland was founded in 2007 by Debbi and Matthew Scarborough, and is a fully-accredited, independent, non-profit school that seeks to provide a safe and supportive academic atmosphere for its students. Cumberland accepts applications year-round. To schedule a family tour, please contact Terri Brooks, director of admissions, at 404-835-9000, or email admissions(at)cumberlandacademy.org.